Modern-day world simulation strategy game. Take control of nation states, large corporations, important politicians. Face the many global challenges of the 21st century. Learn to achieve desired outcomes by getting to know the dynamics of the simulated systems and preferred actions of other in-game entities, often by replaying certain scenarios a number of times. 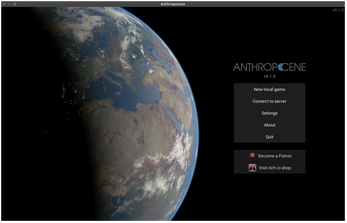 The difference between Anthropocene and most of the other games dealing with similar themes comes down to flexibility and scope. 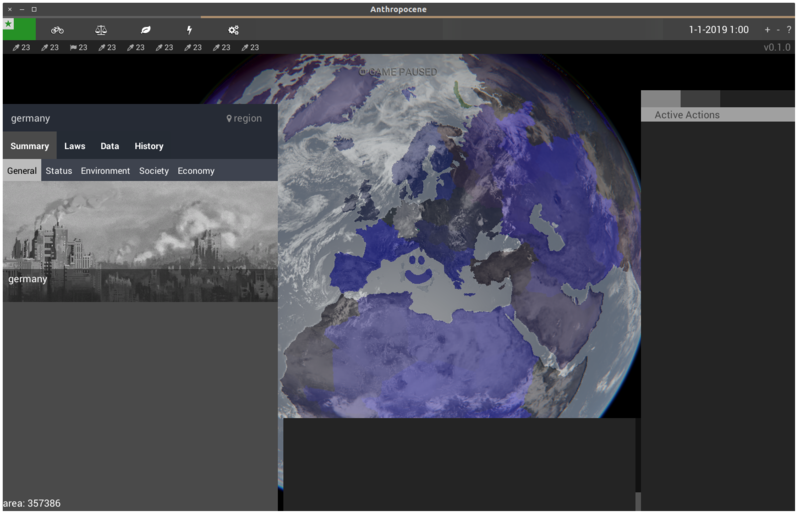 With Anthropocene you can not only simulate nation states, but also all kinds other organizational structures, such as international corporations or regional grassroots organizations. modifications on top of already existing simulation models. want to learn more about the ongoing development process check out the project's website. There's also documentation with tips on modding and more. If you have any questions, or just want to say hi, come over to our subreddit and discord server. Please note that this game is still in early stages of development. Right now it's more of a proof of concept. Buying Anthropocene is one way to provide support for continued development of the project.